They say that with age comes great experience. Through many wonderful years and all kinds of experiences lived, you’ve gained a unique perspective. And now, you’re at a stage where you know what’s important to you and what you want out of life. Since 1972, The Hallmark has been the ideal community in Houston for energetic seniors who want to remain active and socially engaged in their retirement. Experience a place that you can call home, nestled in the exciting Uptown Park area. Connect with new friends, while enjoying the pastimes you love. Become a part of a new family, in a community designed to help make the most of the life you’ve earned. Experience a place that you can call home, nestled in the exciting Galleria area. Connect with new friends, while enjoying the pastimes you love. Become a part of a new family, in a community designed to help make the most of the life you’ve earned. Founded and sponsored by Brazos Presbyterian Homes, Inc., The Hallmark has been providing exceptional retirement living since 1963. Together with our sister community, Brazos Towers at Bayou Manor, The Hallmark provides a broad array of living choices to meet the expectations of all discerning retirees. As a not-for-profit organization serving persons of all faiths, Brazos Presbyterian Homes, Inc. is committed to its mission through the provision of a complete continuum of care. Why should I consider a move to The Hallmark? Most Hallmark residents experience a greater sense of security and community after making the decision to move in. They do all the things they used to do in their houses, but they find that there are opportunities to discover new interests and hobbies, as well as new friends and neighbors. Why is it important for me to choose a Life Plan Community? 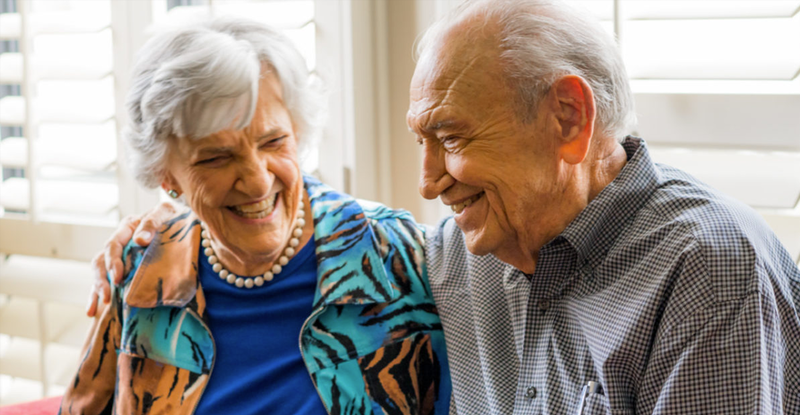 A Life Plan Community offers the social and active opportunities you want for an independent life, but it also offers a continuum of assisted living and skilled nursing services in the same location, so they’re available whenever you may need them. LPCs are all about making it possible to live the life you want, while having confidence that care is accessible when needed. How will The Hallmark help me stay active and healthy? The Hallmark has a full-time activities staff onsite, and the members of this staff are passionate about making sure you have the opportunities to live well and feel great. There are a range of ways to stay healthy…from fitness classes, to walking trails, to fit food options at mealtimes. How should I talk to my family members about my decision? When making a big living decision, it’s important to have conversations with your family. We always encourage potential residents to simply be honest and open with their family members about what they want out of their living experience. We’re also happy to provide you with any information that may help you discuss your decision; just click here to contact us. I have some concerns about living alone. We want you to know that you’re not alone in having those concerns. Many people who move in to our community have initial reservations about living by themselves. However, once they become a part of life here, they realize how connected they become to the friendly faces of the staff members they see every day, and they quickly form strong groups of friends. Living at The Hallmark is not an isolating experience…it’s a fully engaging one! There are a few factors in calculating costs for different people…these factors can include style of residence, level of support, whether the contract has a refundable portion, etc. Before making any decisions, it is very helpful to have a one-on-one conversation with a member of our staff. We can answer all your questions! You are also welcome to request pricing information by calling (713) 624-5576 or sending us a note through our contact form. Yes! We are a pet-friendly community, so you have the freedom to bring your pets, although the location of your residence and size of your pet can affect the circumstances. Are meals included in the monthly service fee? The monthly fee includes one meal per day for each resident, plus a continental-style breakfast each morning. Will I pay real estate taxes or need homeowners’ insurance? We suggest you carry insurance that covers your furnishings or personal belongings, but you are not responsible for real estate taxes. What if I want to change from one Apartment to another one? Residents are able to transfer to different locations and to larger or smaller residences as they become available. Is The Hallmark a secure community? Security personnel are on duty 24 hours a day. In addition, all guests are required to sign in at the Concierge Desk. Are there overnight accommodations for my family, guests, or friends? Yes, suites are available inside The Hallmark at a reasonable cost. How many apartments does The Hallmark have? Our boutique-style community has a total of 124 apartments, varying in size and type. Our boutique-style community has a total of 182 apartments, varying in size and type.